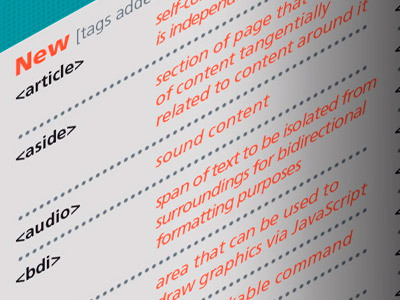 HTML5 Cheat sheets that show tags, event handlers attributes and browser support. 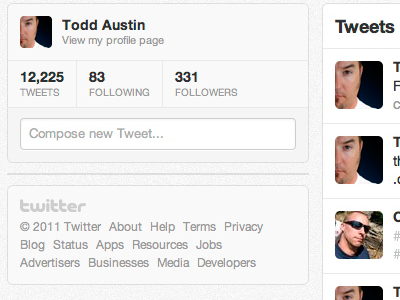 I was just “upgraded” to the new Twitter look. 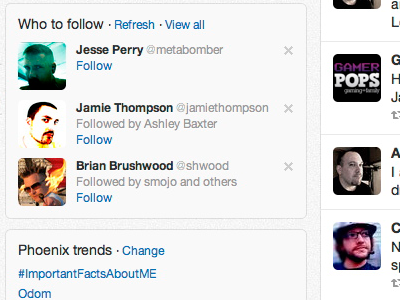 I never have liked that I am forced to see Trends and Who to Follow, neither of which I care to see or use. Since none of the current extensions work to hide this noise, I had to come up with a css workaround. Unfortunately if you are a Chrome user, like myself, you can’t add custom css. 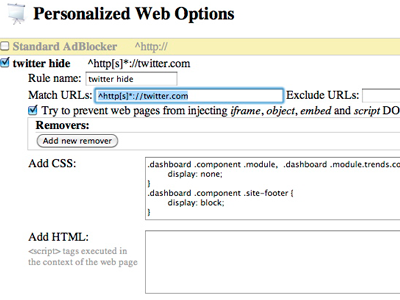 You will have to use an extension like Personalized Web to do your custom css work. Once this is added, refresh your twitter page and voilà, the junk is gone.